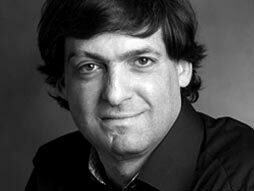 Talks | TED Partner Series | Dan Ariely asks, Are we in control of our own decisions? Posted by Oliver Payne | Behavioral Economics · Dan Ariely · Decisions · Predictably Irrational | The Hunter Blog | 1 Comment on Talks | TED Partner Series | Dan Ariely asks, Are we in control of our own decisions? [tweetmemeonly]Behavioral economist Dan Ariely, the author of Predictably Irrational, uses classic visual illusions and his own counterintuitive (and sometimes shocking) research findings to show how we’re not as rational as we think when we make decisions.